Globe is renowned for its strong ties to skateboarding and surfing culture. Launched in the nineties, it has earned a cult following on account of its unerringly cool 'yet cliché free 'design approach. From lounging in the sun to riding the waves, men's Globe beachwear offers a statement to keep you looking fresh. colours and prints range from the abstract to the alternative, while shapes remain easy-going and wearable. 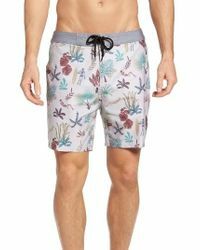 With a wide range of boardshorts and swimming trunks served up, men's Globe beachwear will see you smoothly from surfing to shoreline. 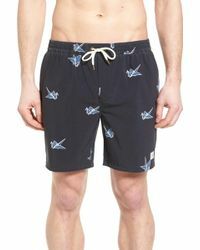 Showing 77 results for "Men's Globe Beachwear"